Warranty is like any other surfboard shaper. We will have a few floating around the Gorge this summer so you will see them. And yeah foamies are fun...I agree. They are like taking a cheap set of waterskis to Bachelor for a 'good time in powder'. So Catch Surf has decided to only sell the Wave Bandit series in stores for the future so it might be hard to get a hold of the Performer 4-10. 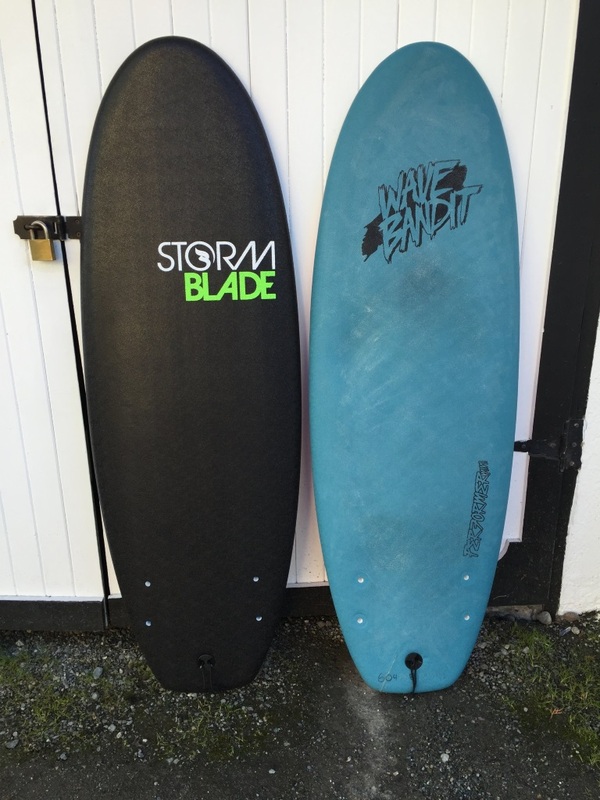 There is basically an exact copy of it from Storm Blade surfboards that I just got on amazon for $150 after tax and shipping. The board is the same weight, 5.6 lbs, 6.0 lbs with fins. The fins are exactly the same, I guess they are made by a 3rd party. Picking it up it feels a tiny bit thicker than my Performer 4-10's. It might have a tiny bit less nose rocker. It might be a tiny bit wider. It comes with a leash. Haven't had a chance to ride it yet, but I'm happy to still have a source for these boards online. My two wave Performer 4-10's are holding up well. I have about 15-18 sessions on my main dark blue one with lots of big boosts and a few hard landings. I took my light blue one to Tenerife and only put a couple sessions on it but it took some abuse. I cracked the HDPE base hitting a rock at speed. Also I was rescuing someone's surfboard via the leash and I wiped out and his board popped way up in the air and landed right on top of mine. His fin cut right through the tail of my board and even split the HDPE base a bit. I fixed both with a hot glue gun. 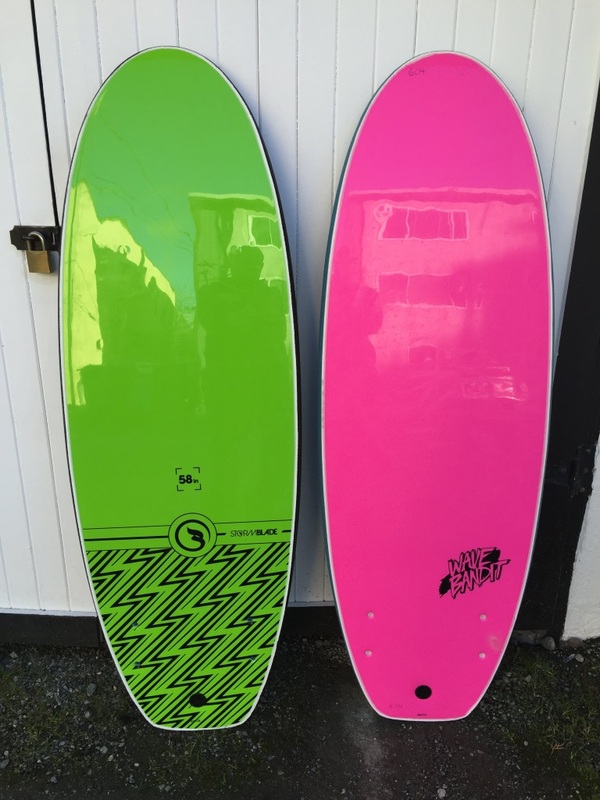 Get the signature edition of the best board there is! funny, i saw a guy riding one of these in PC on wednesday.